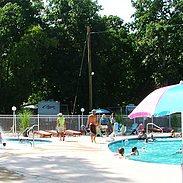 Have you enjoyed your experience at Holly Shores Camping Resort? 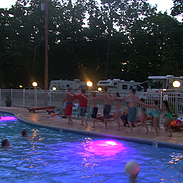 We work hard to ensure that every guest has the time of their life at our campground. Please click Leave A Review and tell us about your stay. "My family took our first journey into camping the last weekend of June. We stayed in one of the Cabins and we had the time of our life! It was great; the pool is so nice and clean, the people everywhere are terrific. Overall just a fun, clean and safe place to take the family and have a great time. 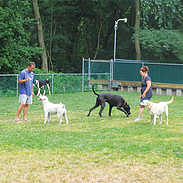 Next visit will surely be longer than a weekend and the dog must make his presence as the dog park looked great. Fantastic place and please continue to do the right thing." "Loved that you are pet friendly. We loved our visit and look forward to our next stay." "Very nice atmosphere. Friendly. Relaxed. Clean. Close to the beach. THe pool is great! 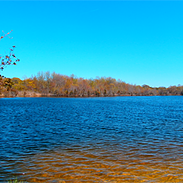 The walking trails in the back around the lake are really nice." "We love the friendly, family atmosphere. The campground is well maintained. 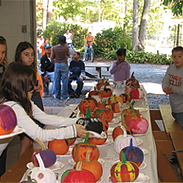 The activities are great for keeping the children from being bored. Wish we could be seasonal! Maybe on day soon!" I Can't Rave Enough About It. "We've stayed in a lot of campsites. Some nice and some eh not so nice. This was our first stay at Holly Shores and it will definitely not be our last. I can't rave enough about it. The staff is very professional and courteous, bathhouses are kept extremely clean, swimming pool and hot tub are teriffic (the changing color lights at night are a nice touch). The list goes on and on. I have nothing negative to say and highly recommend them to anyone looking for a great place to stay at the Jersey Shore." 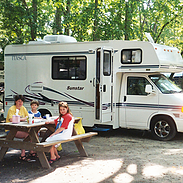 "We had a wonderful camping trip once we had to move campsites. We only had to move because of a monster 5th wheel that could only park in our spot. The staff was very apologetic about this but we ended up in a better site in the end. The owner Dave even came by and apologized about us having to move. We have already made our reservations for next year. We love it here."